* Specially designed for lubricating driving chains (all types of motorcycle). 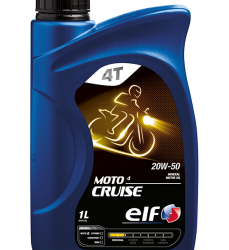 * The perfect grease for all conditions of use (touring and racing, roads and off-road). * Particularly recommended when the chain has to cope with very severe conditions as well as external pollution (mud, water, etc). 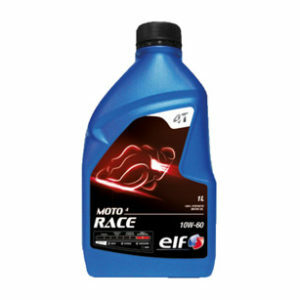 * The use of Elf Moto Chain Lube extends the lifetime of the chain. * The grease gives maximim protection against chain corrosion. 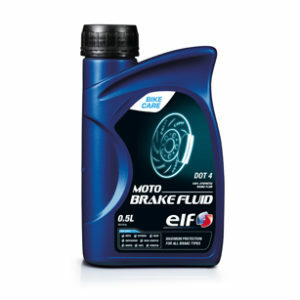 * Elf Moto Chain Lube is insoluble in water, even saline. – is sufficiently fluid as it leaves the spray to be well distributed on the chain. – sticks very quickly, thanks to the rapid evaporation of the solvent, consistency and adherence adapted to the requirements of a motorcycle chain. 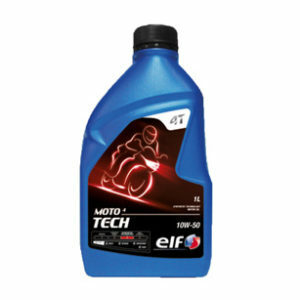 * Elf Moto Chain Lube shows very good shear resistance for maximum chain protection. * The fluorescent yellow colour of the grease, and its special aerosol spray diffuser facilitate application. 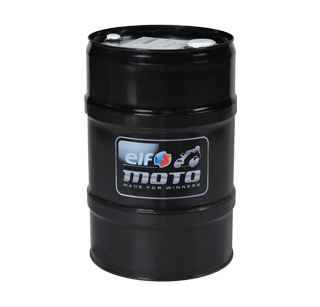 * The solvent used in Elf Moto Chain Lube is non-toxic and the CO2 propellant does not affect the ozone layer. * A thin film of Elf Moto Chain Lube is sufficient.